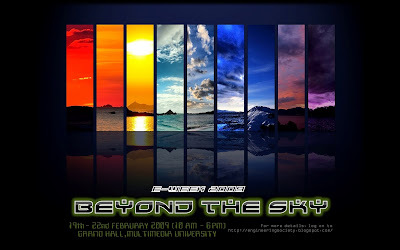 Multimedia University Engineering Society will have its "Beyond The Sky" event from 19 to 22 February 2009, related to Astronomy and Space Science. The event is supported by Malaysia National Space Agency (ANGKASA). The venue is Multimedia University Cyberjaya Campus Grand Hall and it seems to be a public event. I would surely support most of the events.